La Redoute has been a staple French fashion for a staggering 181 years, building a legacy of ready-to-wear apparel, home furnishings, and more. But to thrive in a modern ecommerce landscape, they needed to shift from their catalog-based model and physical storefronts. Here’s how Fastly helped La Redoute usher in digital transformation, keep up with the ever-changing visual nature of retail, and scale with mobile-first audiences to become one of the top 10 ecommerce sites in France. In 2014, fashion and home furnishings brand La Redoute found themselves at a crossroads. They had a retail record few could touch — a business that sustained nearly two centuries of changing consumer habits — and yet, they were struggling to keep up with the unrelenting global shift toward digital. Like many retailers, La Redoute could no longer rely solely on what had been the staples of their business model — brick-and-mortar storefronts and printed catalogs — to deliver the same results. Instead of funneling more resources into these legacy tactics, La Redoute decided to pivot their focus: they invested in a full review of their website and delivery process, which not only grew revenue, but catapulted their brand into the ecommerce spotlight as a brilliant example of successful digital transformation. One of the most important considerations for ecommerce businesses is product images. Visitors are more likely to remember a brand and make a purchasing decision when they encounter high-quality images. And it’s just common sense: a page featuring a stunning image of the shoes you’re trying to sell will likely outperform a page with a text-only description, no matter how cleverly worded. La Redoute knew images were paramount to their success online. But like many ecommerce businesses, they had a daunting breadth of product images to contend with — about 10 million — which needed to be replicated and resized across all the channels and devices. La Redoute needed to convert the longstanding power of their brand, and the images that conveyed it, into the places their visitors were now spending time on the web. As such, mobile shoppers were a huge consideration. But to get their images up to necessary standards would have been a massive undertaking, robbing the engineering team of approximately six months that they could put to better use. 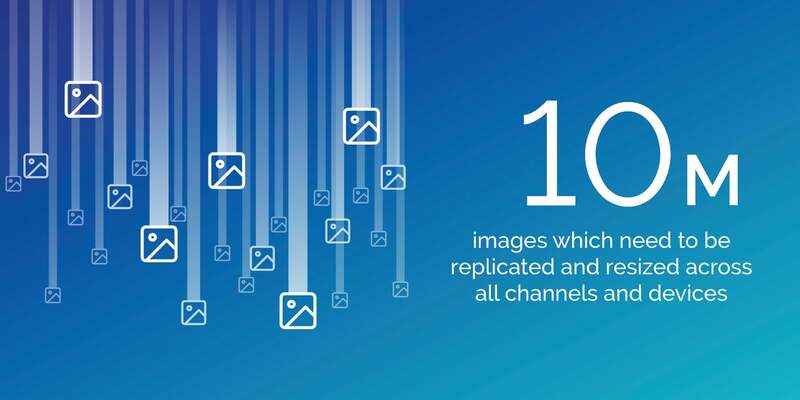 That’s why Fastly’s Image Optimizer became so crucial to their digital transformation. La Redoute was able to offload the massive scope of the project to Fastly, which saved them valuable time and resources: instead of a taxing six-month internal project, Fastly optimized the entire image library in roughly one week. 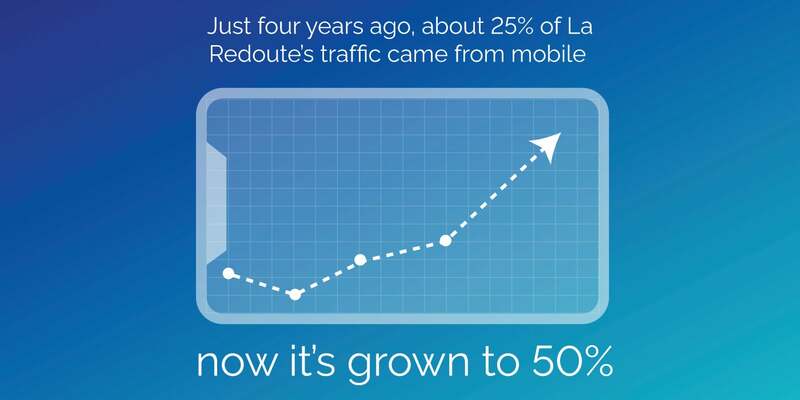 La Redoute’s focus on mobile was especially prudent: while just four years ago, about ¼ of La Redoute’s traffic came from mobile, now it’s grown to 50% — and that percentage is increasing all the time. Today, whatever device their visitors are shopping from, La Redoute can deliver a fast, high-quality experience to meet their customers’ needs. By working with Fastly, La Redoute moved customer-facing processes to the edge — meaning, their technology is as close to their end users as possible. 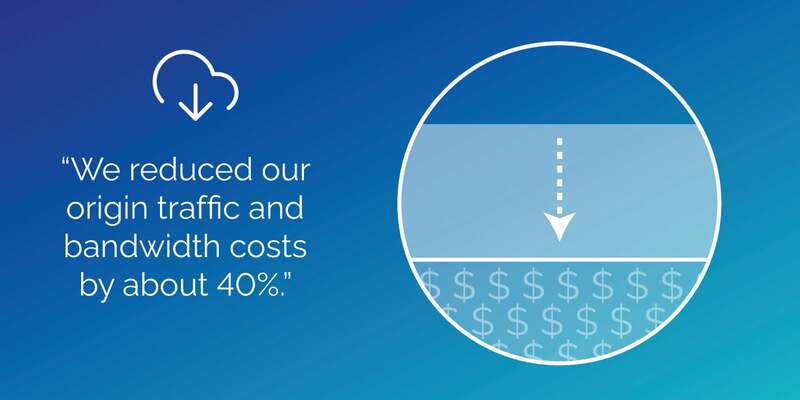 This enables them to deliver speedy, dynamic experiences across the globe (or at least to all the countries they currently operate in). 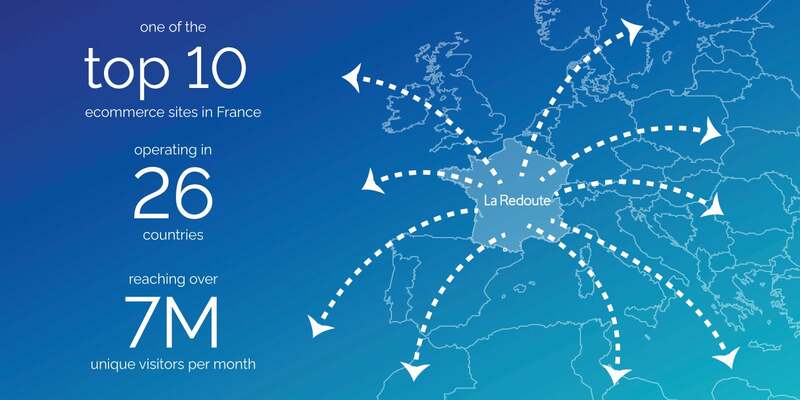 By taking the heavy lifting off of La Redoute’s infrastructure and the team themselves, they empowered both the technology, and the people behind it, to do what they do best. This partnership allowed La Redoute’s engineering team to operate at a higher velocity, while retaining the time and capacity to concentrate on core internal projects. They’re using their freed up resources to perform A/B tests and securely launch new features to enhance their product, engineering, and marketing offerings. All of these endeavors have contributed to their successful digital transformation. The freedom to focus on reimagining how they serve customers (instead of how to deliver images as part of that endeavor) allowed La Redoute to move forward with confidence, at scale, and continue to evolve with the changing retail and digital landscape. And it’s precisely this ability to continuously iterate and improve — on top of preserving their long-standing brand authority — that helped usher in one of France’s most successful digital transformation stories.